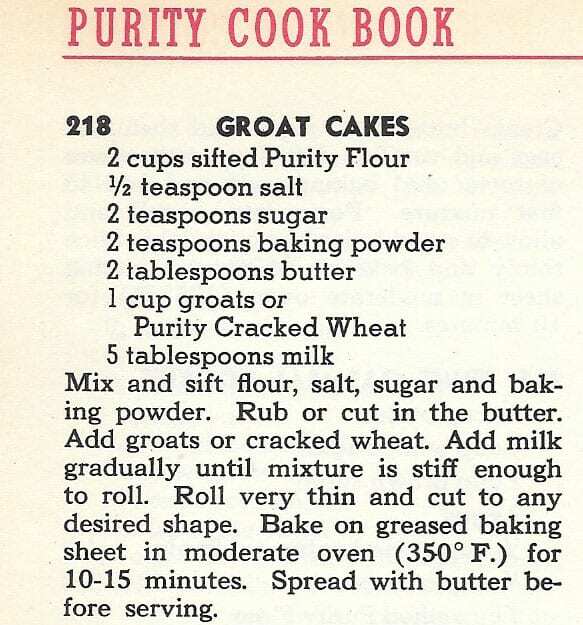 Groat Cakes from Purity Cook Book: Here’s one interesting recipe from the Purity Cook Book, 1932, 1945. 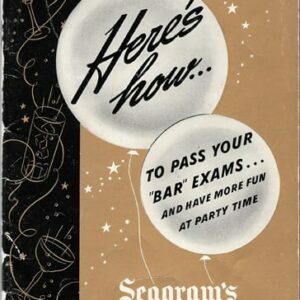 I can’t find a dictionary definition for “groat,” other than a small coin in England. In the recipe, groat seems to be another name for cracked wheat. 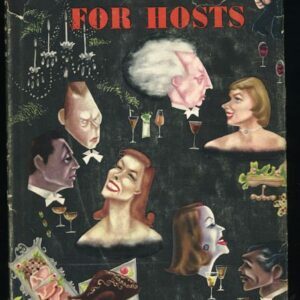 Purity Cook Book, 1932, 1945: A publication of Purity Flour Mills, Limited, with its head office in Toronto, Canada. 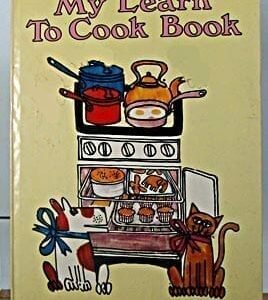 First published in 1932, Purity Cook Book was was revised in 1937 and again in 1945. 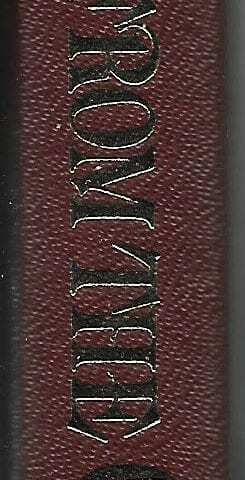 This copy is from the 1945 edition. Hard cover boards covered in red linen. 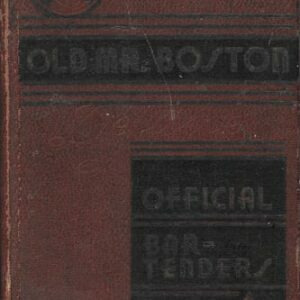 208 pages, including some full-color illustrations. Excellent vintage condition. Small amount of shelf wear on the cover. Binding is strong, cover is in great shape. All pages are clean and clear! 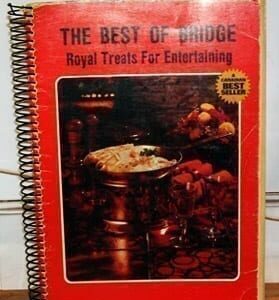 This cookbook was never used! Gift quality.